This post originally appeared on Out Of Office NY. Read it HERE! Forget boozy brunch! It’s all about the boozy ice cream this summer! You may have heard of The Tipsy Scoop, which has been selling its delicious alcohol-infused ice cream online for some time. Luckily for us New Yorkers, the Tipsy Scoop has finally opened the doors to its own “barlour” in Kip’s Bay–the first of its kind in the Big Apple! The Mango Margarita Sorbet and Raspberry Limoncello Sorbet are perfect for a hot summer day. They’re sweet, refreshing, and the alcohol is really potent! If you’re in the mood for traditional ice cream, you need to try the Cake Batter Vodka Martini and the Red Velvet Martini! So rich and yummy. All flavors are up to 5% BAV, too, so DON’T forget your ID as they’ll card you when you order. Get ready to get your drink on for National Creative Ice Cream Flavor Day! Van Leeuwen is taking Earl Grey Tea to an entirely new level. If you’re a fan of the drink, you’re bound to love this original flavor. 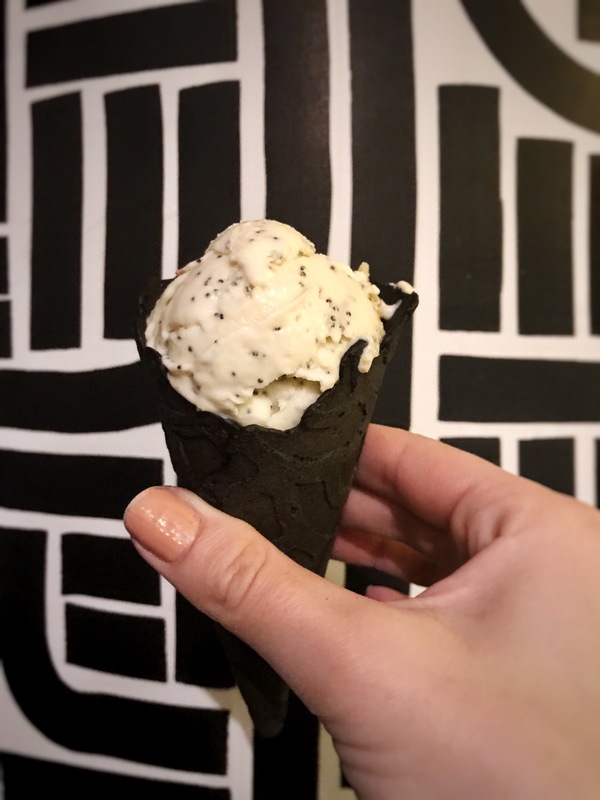 It’s sweet, creamy, and tastes EXACTLY like someone just took a cup of Earl Grey, swirled it with vanilla ice cream and artfully scooped it into the perfect looking ice cream cone. 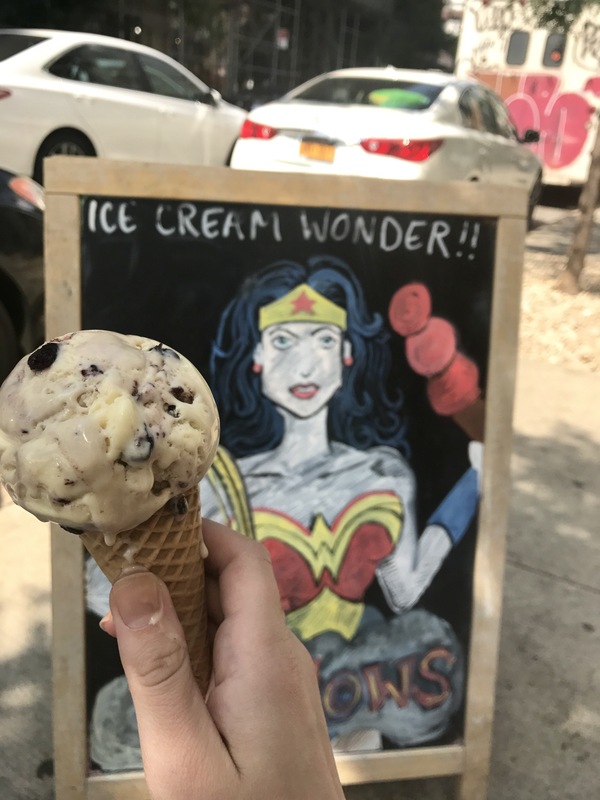 Hands down: one of my new favorite scoops in town and a great option for National Creative Ice Cream Day, that’s for sure! Flavors like “Cocoa Dough”, “Chocolate Cocoa Crunch” and “Froot Berry Bliss” don’t sound too creative, right? Well, there’s a twist. Literally. Milk & Cream bar is taking your favorite childhood cereals and swirling them together with soft serve ice cream and sweet toppings. 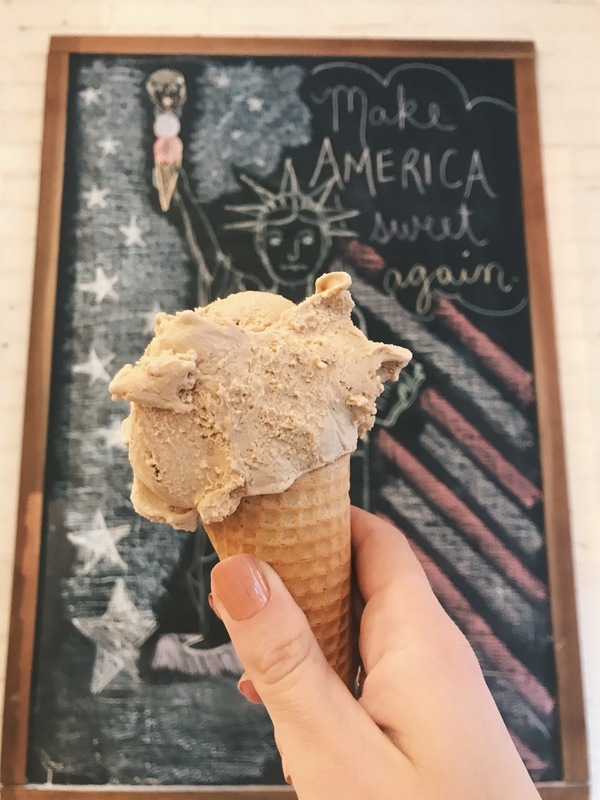 This Nolita ice cream shop is pretty new, and their creative blends deserve a spot at the top of your “to-eat” bucket list. I tried the “Cocoa Dough” and was blown away! It’s a blend of vanilla soft serve, Coco Puffs, brownie bites and cookie dough swirled to perfection and topped off with more cookie dough chunks. I know your mouth is watering! You can also BYO ice cream cone from scratch, so if you prefer to get adventurous, go rogue! Otherwise, you can’t go wrong with any of the tastefully created combinations on the menu. It’s always National Creative Ice Cream flavor day in the LES thanks to Ice and Vice. With flavors like “Ants on a Farm”, “Blood Sisters “, and “Tea Dance “, you’re bound to find something totally bizarre, yet super tasty. Luckily, they’re super cool about letting you sample the ice cream, so you’re not flying totally blind when you order, say, a scoop of Olive Garden! Here’s what I thought: Ants on a Farm is surprisingly really good. What’s in it? Raisin, Celery, and Gianduja Chocolate Chips. You can really taste the raisins and I was surprised at how much I actually liked celery bits in my ice cream. Who knew? I also tried the Olive Garden. It literally tasted like garlic bread in ice cream form! You should definitely ask to try it. In the end, I went with a scoop of Opium Den, which was white sesame and poppy seed ice cream mixed with lemon bread croutons. It paired so nicely with the chai spiced dark chocolate cone. Wow. Just wow. Surprise! Morgenstern’s staple charcoal-colored ice cream is actually coconut flavored! It’s the perfect mix of a sweet vanilla and traces of coconut. Whether you’re a coconut fan or not, a scoop of the Black Coconut Ash is bound to be a pleaser. Not to mention, it’s arguably one of the most Instagrammable ice cream scoops in town. It’s as beautiful as it is tasty! While you may have to wait in line to try this heavenly flavor, the Morgensterns ice cream parlor is worth the experience. 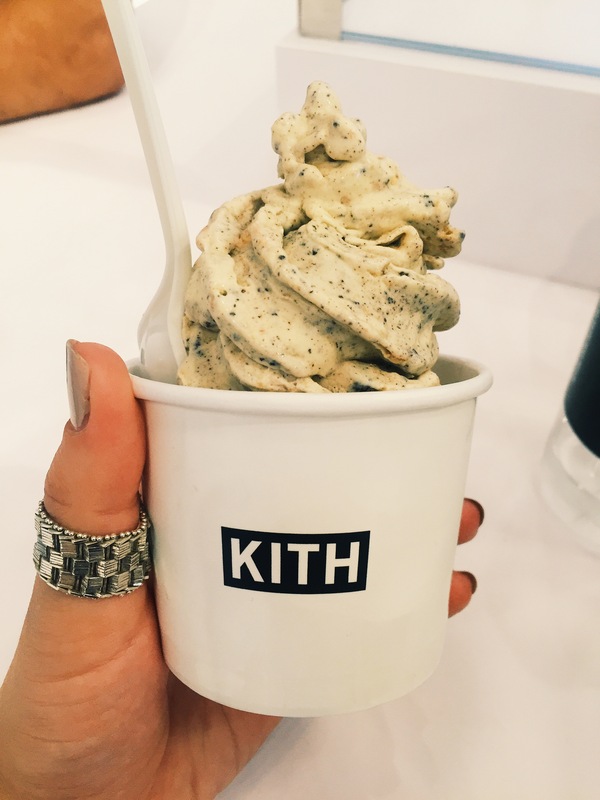 Kith Treats is pretty much NYC’S OG when it comes to brilliantly blending soft-serve ice cream with cereal. Being a street wear company first, Kith brings an interesting perspective to the ice cream eating experience. Stop into either their SoHo or Brooklyn stores to get your hands on a customized treat! My personal favorite? Vanilla Ice Cream blended with Cinnamon Toast Crunch and Oreos. But, don’t be afraid to let loose and get creative! Or go the less risky route and try any one of their suggested blends, like Action Bronson’s inspired The Bam Bam (Brooklyn menu. Rice Krispies Treats, Cookie Crisp, Cinnamon Toast Crunch, Kit Kat, Crushed Oreo, Marshmallow Charms, Skim Milk ) or The Master (Manhattan menu. Frosted Flakes, Froot Loops, Coconut Flakes, Almond Milk) Oh, and don’t be afraid to browse through their amazing sneaker selection while you’re there! You may walk out with a cup of Kith Treats in one hand and a shopping bag in the other! Dearest, Taiyaki, I love you very Matcha. You’re bound to feel the love too when you try Straight Outta Japan. It’s a Matcha and sesame soft serve swirl that’s decked out with pastel gummies and a mini pirouline, and served in a homemade waffle cone filled with red bean paste. Oh, and the cone is shaped like a fish! This Japanese staple dessert, which tastes primarily like Matcha, is both delicious and unique (if you like Matcha, of course!) If you head down there soon, you can even try their new unicorn flavor! Do yourself a favor, and run there to experience the beauty first hand! This purple yam soft serve ice cream is UBEr good! I know what you’re thinking: purple yam? Believe me when I tell you that this flavor, Ube, is amazing, and certainly a unique treat for both your palate and your Instagram. See for yourself! It’s bright purple! I’d suggest the Ube ice cream in a black chocolate cone, covered with Fruity Pebbles! It’s such a good combo, you won’t be able to put it down!